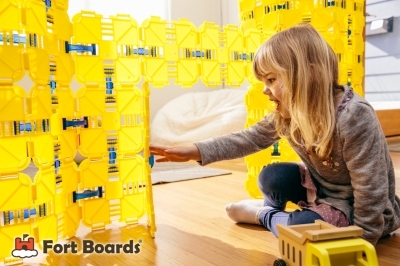 Fort Boards allows kids to create custom forts in any shape they can imagine — say, a rocket, submarine or octopus — then break them down and start all over again. What kind of adventure will your kids build today? Highly stimulating product!! Will keep kids busy for hours and definitely stimulates creativity!! It's made in America and looks fun to create more than just square items.